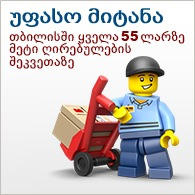 ლეგო შემოქმედებითი მოტოციკლის მაღაზიას და კაფეს მოყვება გასაოცარი, წარმოსსახვითი ნაწილები და მათი გადაწყობა შეგიძლიათ მანქანების სარემონტო ან ყვავილების მაღაზიად. 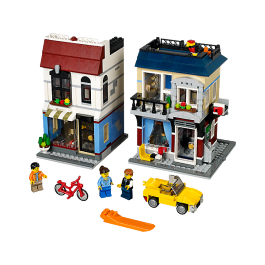 Open up for a world of adventure with the 3-in-1 Bike Shop & Café! Open a world of adventures with this exciting 3-in-1 Bike Shop & Café. Serve delicious muffins and espresso coffee to your customers at the cozy café. Then visit the neighboring bike shop, buy the cool red bike that's for sale, mount it on your car rack and head for the hills! 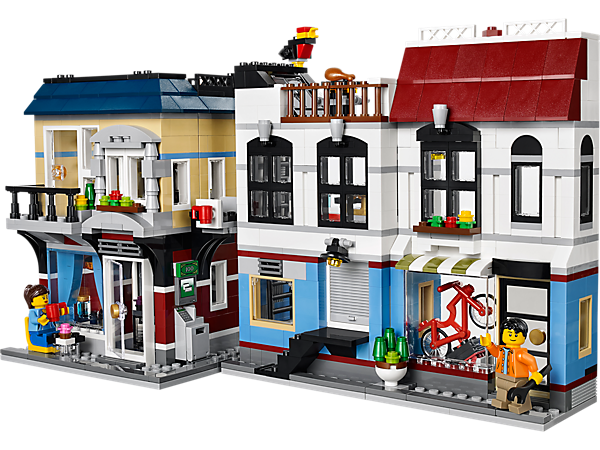 Fold out the Bike Shop & Café for your very own main street, where you can add your own LEGO® creations! What kind of shop will you build next? 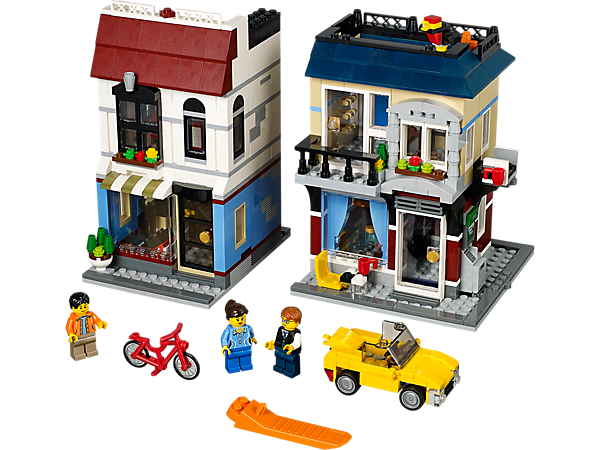 You can also rebuild the set to create an auto repair shop or a flower shop. 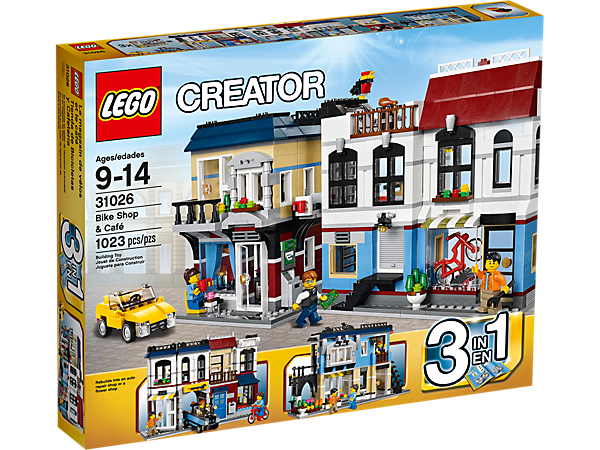 Includes 3 minifigures: 2 men and a woman. Take the cool red bike for a spin!